by Sister Angela Ann Zukowski, MHSH, D.Min. For a more comprehensive Study Guide, Related Readings, and Recommended Websites, see the end of this article. You sow a thought, you reap an act. You sow an act, you reap a habit. You sow a habit, you reap a virtue. You sow a virtue, you reap a character. The cultural norms that we see constantly glorified on TV, in movies, in popular music, and on YouTube and the internet are not making our jobs for creating a Beatitude community (culture) any easier. The culture that offers so many distractions and temptations to our young people is based on a secular and materialistic view of life that contradicts the core values of the gospel. It is a culture that, at best, is totally indifferent to one’s faith life and, at worst, seems to be completely anti-religious and opposed to any yearnings of the spiritual needs of human existence. In his book titled Rediscovering Catholicism: Journeying Toward Our Spiritual North Star (Beacon Publishing, 2002), popular Catholic author Matthew Kelly wrote about what he calls the core philosophies of secular culture. He argues that these are: self-absorption with individual concerns; a hedonistic tone that stresses pleasures above all else; and a minimalism of commitment that dictates doing as little as possible. He goes on to state that when secular culture does require some degree of commitment on the part of individuals, it usually is measured in terms of minimal involvement. Humanity today needs a moral and spiritual compass. From the previous six articles, we have seen that the Beatitudes—the Sermon on the Mount—offer such a compass. Our students will always find paradoxes of the gospel and the culture swirling around them. We are called to nurture within our students a religious experience and language that can prophetically confront modern times. This is the most valued legacy that you and I—as catechists, Catholic educators, and pastoral ministers—can leave to them. 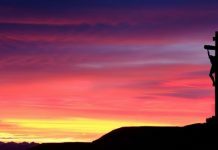 In this article, I invite you to accept the challenge to intentionally begin to embrace nurturing a Beatitude community and culture wherever you now stand. Susan Sack’s article (see CATECHIST, November/December 2010) addresses the importance of Baptism and our call to discipleship. When we gather on a Sunday to celebrate the Eucharist, it is our Baptism, in a real sense, which we are celebrating and furthering. One way the early Greeks used the term baptizo (Baptism) was in relation to the trade of cloth dying. To change the color of a garment was to place it into boiling dye. To see whether the color had “taken,” the cloth had to be lifted out, inspected, and then dipped again into the mixture. The word the Greeks used for repeated dipping into the dye was baptizo. Is this not an appropriate word to describe our journey of faith? We never arrive but are always arriving at a deeper understanding of who Jesus is for us. Daily, we need to experience Baptizo by living the Beatitudes. The Catechism of the Catholic Church defines virtue as “a habitual and firm disposition to do good” (n. 1833). Traditionally, it is a quality of human character by which individuals habitually recognize and do what is right. A good moral habit is produced of good actions. A habit is not a single action; rather, it is a constant dipping into the dye that makes it work. 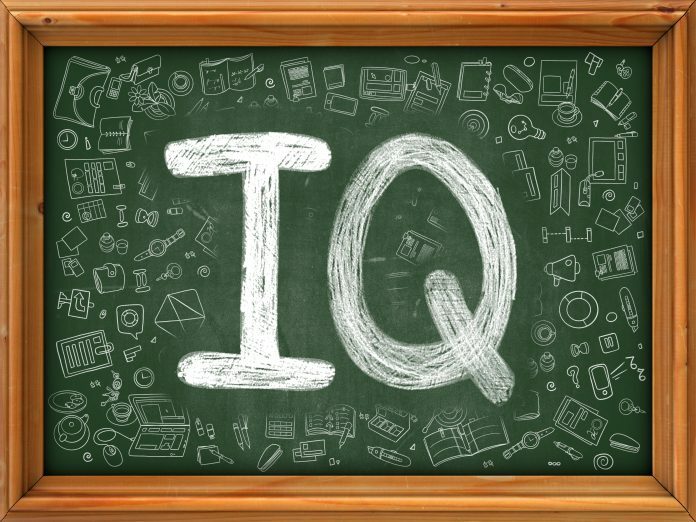 Catholic education is more than the acquisition of intellectual values. It is learning a lifestyle in the spirit of the Gospels and our Catholic heritage. Catholics have a different worldview that needs to be woven into the full fabric of the faith community: families, neighborhoods, parish, school, and the civic community. A sound and solid Beatitude community (culture) can be founded in a clear and comprehensive Pastoral Beatitude Community Plan. It must be woven into every thread (dimension) of the fabric of our faith life. The term pastoral implies the following: personal; compassionate; community sensitive; prophetic; engaging both the mind and heart; and demonstrating an inclusive and rich diversity of dimensions among all those who are influenced by the witness of prophetic discipleship within the countercultural context. There are fundamental qualities or dispositions that hold a Beatitude community together. These qualities must be cultivated through reflective praxis. These qualities are: 1) the practice of a contemplative (prayerful) stance toward one another, our community, and the world; 2) listening with a sacred—vulnerable and open—heart by being alert, pausing, pondering, and acting with compassion and humility; 3) courage (audacity) to respond to the Beatitudes/Sermon on the Mount within shifting cultural contexts; 4) faithfulness to our call as prophetic disciples grounded in our Baptism and Confirmation commitments; and 5) hope for a “new creation,” a new world order rooted in gospel values. During the past several years, I have been serving several urban catechetical programs and Catholic schools desiring to animate a Beatitude community (culture) within their environment. The following are select best-practice initiatives that have made a significant difference in these programs and schools realizing their mission and vision. 1. Orchestrate a three-year strategic pastoral plan to enhance the catechetical program’s or Catholic school’s curriculum for nurturing a Beatitude community throughout the system. Check out “The Tree of Contemplative Practices” (see Study Guide, Related Readings) for cultivating awareness and developing a stronger connection to God. This can be accomplished by organizing conversations on all parish and Catholic school levels around depth meaning and potential impact for nurturing a Pastoral Beatitude Community and Faith Formation Plan with faculty and staff. In some instances, it is helpful to extend the planning process into the parish pastoral council’s planning efforts. Review previous articles in our series for considering elements to the planning initiative. Incorporate into the plan benchmarks for successful implementation and evaluation. 2. Establish the parameters and grounds for a Beatitude community (culture) that is comprehensive and inclusive of diversity among students, faculty, staff, and environment. This is realized by inviting a support team from the extended faith community to participate in the planning, implementation, and evaluation process. By recognizing the diversity of Beatitude expressions (both religious and cultural), we call for the ownership and commitment among everyone whose life is influenced or touched by our presence within the community. If working within a Catholic school, establish guidelines for advancing the Beatitude community (culture) throughout the entire curriculum mapping process (refresh all lesson plans). Each year a Beatitude Retreat (faculty, families, and staff) is made available to deepen the community’s awareness to the commitment for cultivating a Beatitude community (culture). 3. Collaborate with catechists, faculty, and staff for defining and implementing a Beatitude environment (attitude, aesthetics, art, and special animation) throughout the learning space. A person should be able to walk into our learning environments and sense the Beatitude spirit radiating through both the lived experience and the aesthetic representation. A successful approach has been promoting a Beatitude Festival of the Arts that integrates various art forms (poetry, music, dance, art, drama, skits, literature, etc.) that helps students express their understanding of a Beatitude way of living. Invite all parishes and churches within the region to attend and participate in the festival. Encourage local parishes and churches to invite students to display their Beatitude aesthetic exhibits and perform the artistic interpretations produced for the festival. In some instances, local or regional museums may be open to exhibit the students’ work in celebration of civic holidays related to justice, peace, and equality. 4. Establish Beatitude Living Recognitions for students, faculty, classrooms, families, and the local community. A special Beatitude Banner, Beatitude Badge, or Beatitude Medal could be awarded each month to the nominated person(s) for endeavoring to prophetically witness to a Beatitude way of life expressed through service-learning or lifestyle. There is a great diversity as to what is labeled as service-learning. Service-learning should include a balance between service to the community and catechetical formation. It is imperative to realize that the term community service (perhaps more commonly referred to as performing “service hours”) and the term service-learning are not interchangeable terms. Rather, these terms differ markedly in their meaning and how they are implemented. Performing service hours or community service describes extracurricular activities aimed at doing good for individuals or local institutions. The vast majority of our Catholic schools and/or Confirmation programs require students to perform a specified number of service hours. While the intent of mandating these hours is certainly praiseworthy, the outcome often “dead ends” once the service is performed and the requisite adult “signs off.” The responsibility comes to an end when the “hours” are completed. The question remains as to what or how much the student has learned or experienced from performing tasks for service hours. By focusing on creating a Beatitude community (culture), such experiences are not short-term but long-term. They contribute toward establishing a quality of life and service that is the norm—not the exception. 5. Support of family life is critical for animating a Beatitude community (culture). Invite parents to special morning, early afternoon, or evening reflections on how their households can become Beatitude Family Units in the parish, school, and local community. Such experiences help parents better articulate their role and responsibility. In some instances, you may encourage smaller Beatitude Faith Communities that meet once a month to reflect, pray, and define the procedures for enhancing the parish’s and school’s Beatitude community (culture). 6. Organize meetings with local pastors and churches to orchestrate the implementation of a comprehensive Beatitude Community Cultural Plan throughout all the neighborhoods. This gathering could reflect on the Beatitudes in light of Catholic social teaching and related ecumenical social justice themes that strive to bring authentic Christian transformation into the entire local setting. Perhaps the parish, school, or local neighborhood community could establish a small endowment primarily focused on nurturing the Beatitude community (culture). If a transformative difference is to be realized, the entire system (families and neighborhoods) needs to be engaged at all levels. It is a systemic issue and concern. 7. Ensure a robust family Beatitude community (culture) for supporting the implementation of the plan. Invite families within neighborhoods to potluck suppers on the weekend to explore how they can participate in transforming neighborhoods to reflect a Beatitude community (culture). Special T-shirts identifying neighborhoods as select Beatitude communities could become identifying markers. Each year a new Beatitude could be assumed by the neighborhoods to enrich the life of the whole community. The goal of virtuous living is to become holy, to grow in the image and likeness of God, to develop a loving relationship with Christ, and “to tend toward the good with all one’s sensory and spiritual powers” (Catechism of the Catholic Church, n. 1803). In an age that shows a decline or obscuring of the moral sense and a rise in subjectivism, utilitarianism, and relevatism, there is a loss of awareness of the marginality of Beatitude way of living and, with it, an eclipse of fundamental Catholic ethic principles and values. A depth understanding of the Beatitudes provides a lens for reading our world differently and analytically through the Beatitude lens. The ladder of the Beatitudes is interrelated, interconnected, overlapping. What Jesus says about being poor in spirit has to do with being a peacemaker. Being meek is connected to being merciful. Like a prism, the Beatitudes are ways of living and reflecting the multi-dimensions of God’s unconditional love and presence in our lives. To live the Beatitudes is to be a vessel of God’s love by mirroring love into the world, proclaiming the presence and Kingdom of God, and leading all back into the very heart of God—from where we began our journey. Sr. Angela Ann Zukowski, MHSH, D. Min., is the Director of the Institute for Pastoral Initiatives and professor in the Department of Religious Studies of the University of Dayton, Dayton, OH (A Catholic/Marianist University). She is a member of the Mission Helpers of the Sacred Heart (Towson, MD). This last article is the capstone for our entire series. We attempt to explore pastoral approaches that parishes and Catholic schools may consider for animating a Beatitude community (culture) through the entire fabric of the faith community. Zukowski explores best practices along with pastoral approaches for nurturing the spiritual and prophetic witnessing necessary for transforming the local community. If we are to build a less violent and more compassionate world, we need to cultivate extensive, committed Beatitude communities that nurture a culture of life and not death, of peace and not war, of healing and not dis-ease, and of justice and peace. 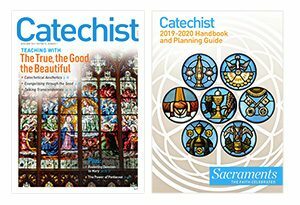 To move in this direction, Zukowski offers a number of best practices that have been designed within catechetical programs and Catholic schools in recent years. 4. How does the Greek word for Baptism, Baptizo, help me appreciate my spiritual journey? 5. 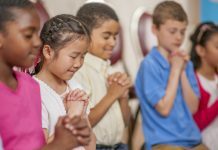 Is it possible for me to work with my catechetical program or Catholic school for designing a Pastoral Beatitude Community Plan? Why? What are the challenges I face? What are the opportunities that are now unfolding as I complete this series on A Moral Compass? 6. How do I understand the qualities needed for cultivating a Beatitude community (culture)? What steps do I need to embrace in my own life to bring this into reality? What qualities might I add to the list presented by Zukowski? 7. Zukowski’s seven pastoral initiatives of best practices have been implemented in one form or another in a parish catechetical program or a Catholic school curriculum. How might I adapt or expand these best practices for my pastoral context? 8. What are the most significant insights I have gleaned from reading, reflecting, and dialoguing with others about the seven articles in this series? What difference do these insights make in my life? In my ministry? 9. What questions do I continue to have concerning the Beatitudes? How will I approach these questions? 1. Create a Pastoral Plan for Nurturing a Beatitude Community (Culture) for your classroom, parish, or school. Refer to the previous six articles in the series for identifying elements for your planning process. 2. Design a Beatitude Festival of Arts for your ministry context and engage the parishes and churches within your local community. 3. Initiate a Beatitude Medal of Honor or a Beatitude Peace Medal to be awarded every month to students or classes for demonstrating outstanding Beatitude living or service-learning. 4. Begin the new catechetical or Catholic school academic year with a retreat for faculty and staff on nurturing a Beatitude community (culture) in the coming year. Present each teacher (classroom) with a framed statement of the Beatitudes to be hung by the entrance to his or her learning space. Have each class write a group and an individual contract for living the Beatitudes in the coming year. Put these contracts in a sacred place to be renewed during the year. 5. Identify additional Beatitude best practices that can support your catechetical program or Catholic school curriculum and environment. Cantalamessa, Raniero, O.F.M. Cap. Beatitudes: Eight Steps to Happiness. Cincinnati: Servant Books, St. Anthony Messenger Press, 2007. Gallagher, Michael Paul, S.J. The Human Poetry of Faith: A Spiritual Guide to Life. Mahwah, NJ: Paulist Press, 2003. Hill, Brennan R. 8 Freedom Heroes: Changing the World with Faith. Cincinnati: St. Anthony Messenger Press, 2007. Koenig-Bricker, Woodeene. “Parenthood as Beatitudes Ministry.” Church Magazine, Fall 2007, pp. 9-11. Kresta, Al and Nick Thomm. Moments of Grace: Inspiring Stories from Well-Known Catholics. Cincinnati: Servant Books, St. Anthony Messenger Press, 2008. Maryknoll Magazine. maryknoll.org. Catechists and Catholic teachers can order free subscriptions for the classroom. Nolan, Albert. Jesus Today: A Spirituality of Radical Freedom. Maryknoll, NY: Orbis Books, 2006. Rolheiser, Ronald. Secularity and the Gospel: Being Missionaries to our Children. New York: Crossroad Publishing Company, 2006. Romero, Oscar A. The Voice of the Voiceless: The Four Pastoral Letters and Other Statements. Maryknoll, NY: Orbis, 1985. Introductions, commentaries, and selection of texts by Cardinal, I. Martin-Baro and J. Sobrino. “The Tree of Contemplative Practices” (contemplativemind.org/practices/tree.html). This article was written by the Catechist Staff and appeared in Catechist magazine, March 2011.